The 360 video of the parade is only available in the YouTube app. Yet around the world, many lesbian, gay, bisexual, transgender and queer people do not have equal rights and are not free to express themselves. In more than 70 countries, it’s a crime to be gay. Even in countries with legal equality, many LGBTQ people face discrimination or violence for being themselves. As LGBTQ rights are challenged around the world, it’s more important than ever to send a strong message of support and to stand up for equality and free expression for everyone. Let’s bring Pride to those who cannot march. 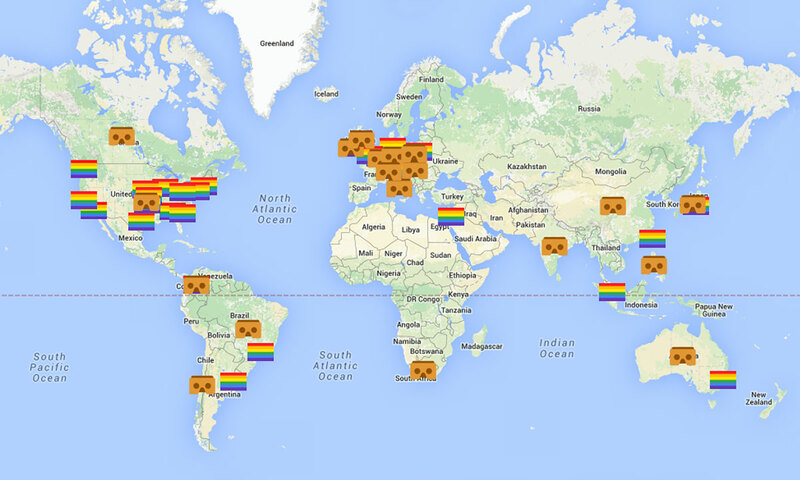 This summer, we’re documenting global Pride parades using 360° cameras. We’re working with LGBTQ communities to invite those who cannot march in person to celebrate Pride in a new way — using virtual reality and Google Cardboard. Whether it’s taking a stance against discrimination in sport at the Sochi Olympic games, or in being the first company to provide full coverage of transgender employees’ healthcare, we have always demonstrated our strong allegiance with the LGBTQ community. We march together. For equality. For the right to love whomever you choose. For loving families of all kinds. For the right to use the bathroom that matches your gender identity. Because pride should know no boundaries.